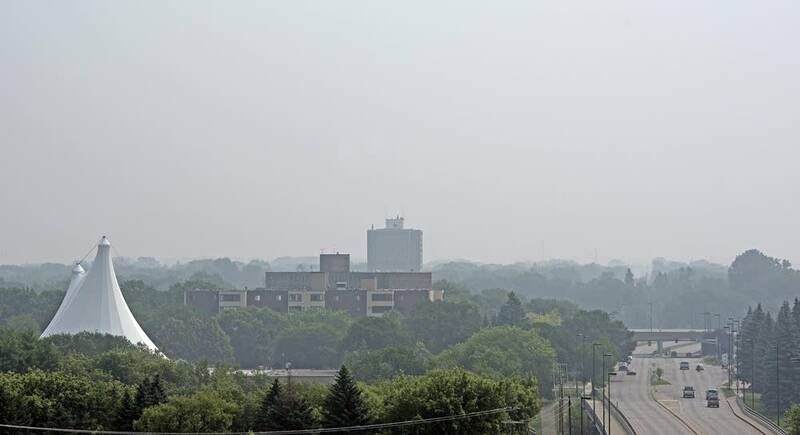 Updated: 6:55 p.m. | Posted: 10:32 a.m.
Minnesota's pollution control agency expanded an unhealthy air alert Monday to most of the state, including the Twin Cities. Smoke from Canadian fires pushed air quality to unhealthy levels and conditions are expected to remain poor throughout the day, state officials say. "As of 3:00 p.m., fine particle levels had reached unhealthy levels in a diagonal band across the state including: Marshall, St. 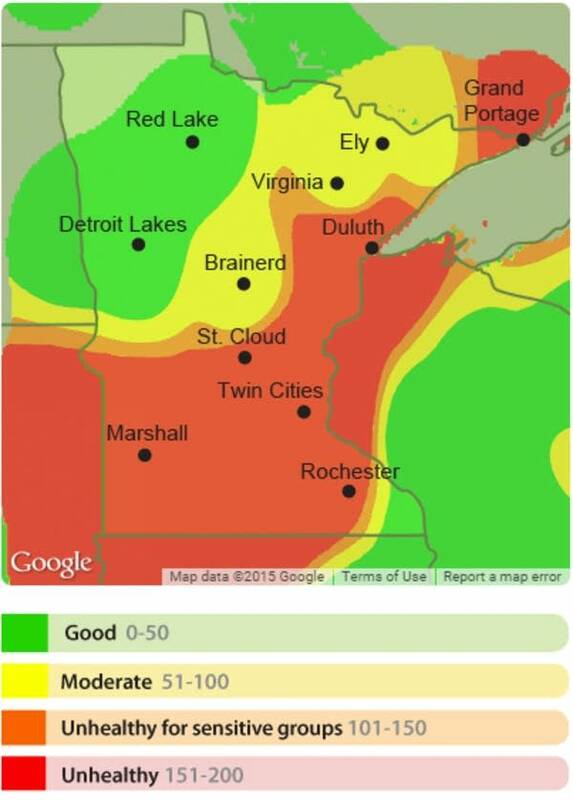 Cloud, Brainerd, Duluth, and Grand Portage," according to a statement from the Minnesota Pollution Control Agency. "This band of smoke is expected to continue to move across the state Monday evening and into the early morning hours Tuesday." But the agency points out cleaner air is on the way. The haze has an acrid smell, almost like burning rubber or plastic. Frank Kohlasch, air quality program manager at the MPCA, explained on Twitter that since the smoke is traveling a long way, "the smell will change as it 'ages' in the air from chemical reactions." Officials cautioned people to take it easy. At the "unhealthy" air level, anyone may be affected and members of sensitive groups — including children, the elderly and people with respiratory problems — may feel serious health effects. "You can become dizzy light-headed, maybe have some shortness of breath," said MPCA spokesperson Steve Mikkelson. "So when these alerts get to the levels that we're seeing we just kind of advise everyone to maybe take it easy for a day until the air clears." Minnesotans should consider postponing unnecessary vehicle trips, using gasoline-powered lawn equipment and burning wood, the agency said. While air quality is currently good across southern Minnesota, including the Twin Cities, smoke may return to the area later today, officials said. Canada continues to struggle to get control of fires in its western provinces. Thousands of people in the Canadian province of Saskatchewan have been evacuated. Provincial officials say some 741,000 acres are burning in Saskatchewan this year, about 10 times what's normal.